The split album between Heinrich Mueller and Robert Witschakowski aka The Exaltics, Project STS-31 - Spiralgalaxie, that was announced back in April is now available here for pre-order from Solar One Music and you can listen to samples of all the tracks at this link. 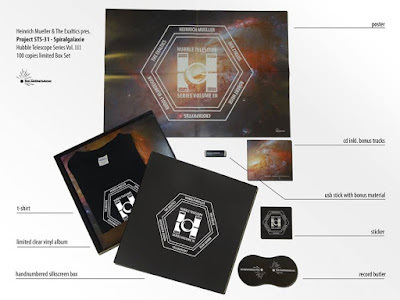 In the image you can see what a very special and lovingly produced package this is and the various versions it comes in, including a limited Box Set, vinyl and CD. Full details on formats etc and samples of each track are available at this link. While all of the tracks are incredible, from DRL's perspective the Mueller tracks and his aliases are as follows. There is one surprise however as Project STS-31 appears to be a collaboration between Mueller and Witschakowski. The name comes from the Hubble Telescope itself and there are four tracks under this name, 'Density Waves', 'The Super Massive Blackhole', '5000 Light Years Away' and 'Spiralgalaxie'. Full label blurb below, ready to ship about 5th September. If you can't wait that long XLR8R are giving away one of the tracks from it, 'Messier 81' by The Exaltics at this link. Project STS-31-Spiralgalaxie (Hubble Telescope Series Vol.3) A clash of the Titans! Celebrating Solar One Music's 40th release and 10th anniverary, this split LP sees two stars under various disguises, Heinrich Mueller (aka Der Zyklus and various other projects) and German producer Robert Witschakowski aka The Exaltics, back to back in a no return odyssey through the depths of the Galaxy. Expect nothing but contemplative and cosmic electro beats using original outer-space sounds from the Universe. Closing the Hubble telescope trilogy which brought to you Luxus Varta and more recently E.R.P. (respectively with the "Everything Is Nothing" and "Ancient Light" EP's), trippy "Spiralgalaxie" will mark a new step in SOM's History. As usual, the final chapter of the series dedicated solely to Hubble and all the great scientists and engineers at the NASA and ESA, comes with a beautiful cover print picture taken by the Space Telescope. In case you missed it there is a new re-press of Drexciya's 'Black Sea'/'Wavejumper' 12" on Clone Aqualung. The record just came out and you can order it now from Juno or the Clone site for instance. 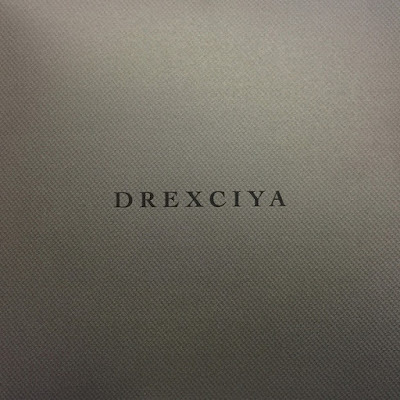 I am not getting anything from Juno for this but just to let you know and perhaps save you some money, here is a link to bring you to what they currently have in stock for Drexciya. The retail prices are much lower in some cases than what some of these items can go for currently on Discogs. This is a blurb about a new live project Dopplereffekt are involved with: 'Entropy is a collaboration between artists and scientists which aims to frame a public lecture by professional astronomers staged as an immersive live audio-visual performance. Original music composed and performed live by mysterious sonic pioneers Dopplereffekt, will be integrated with a unique set of scientific visualisations of real data staged and directed by Antivj artists.' There has already been one show in April 2016 in Belgrade, Serbia which I must admit got past me. The concept reminds me of Dopplereffekt's Neutrino show of 2011, a synthesis of music, visuals and lectures on the subject of Astrophysics. Keep a look out for more upcoming shows. Link for more info on this project here. Dopplereffekt will be playing live at Visions 2016 Festival in France, 5th-8th August. The event takes place this year on a tidal island near Brest in Brittany. There is another Dopplereffekt live show announced for 10th September in Sydney, Australia as part of a Red Bull Music Academy Weekender. Arpanet will be playing live on 21st July at 25 Years of Tresor in Berlin, Germany as well. An electronic music festival calling itself Digital Tsunami can't be bad! Fittingly it is to be held at a secret location in Lithuania this coming August and featured in the line-up is DJ and producer Elena Sizova, who collaborated on Der Zyklus's new album, Renormalon, on WeMe. 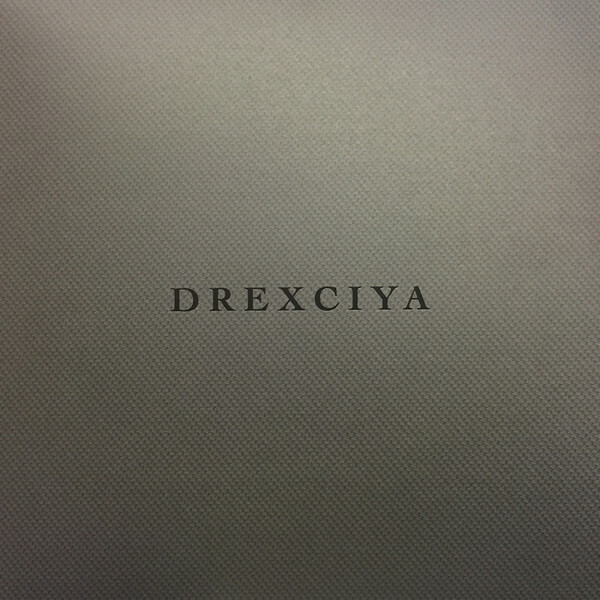 This is also a great mix of music by Drexciya, including many classics as well as some of their 'Unknown Journey' tracks. Listen here.